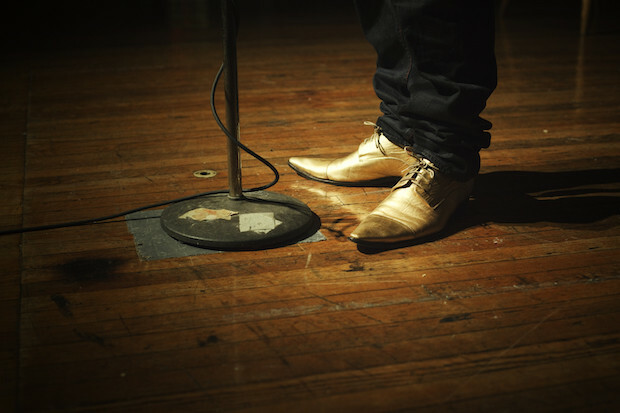 In its 20 years of existence, The Moth has presented over 18,000 unscripted, first-person stories in cities around the world, during the more than 500 live shows it produces each year. The non-profit organisation was established in 1997 by writer George Dawes Green, who wanted to recreate in New York the evenings he had spent sitting on the porch in Georgia with his friends, telling stories. Since then, The Moth has expanded outside of the US to put on live shows in Australia, Ireland and the UK. It also translated its storytelling events into a podcast and radio show launched nine years ago. There are two main types of live events organised by The Moth: StorySLAM and Mainstage. StorySLAMs are open to any member of the audience who wants to tell a story in five minutes, which has to fit in with the theme of night. Themes are usually broad but focused at the same time, such as 'karma' or 'fresh', with helpful hints provided in the description on the website. Each event has a winner and after ten StorySLAMs have taken place in one city, the winners go on to compete in the GrandSLAM event, where they have to tell a new story. The Mainstage events are curated by The Moth's directors and producers, who work with five participants to help shape their stories. In the early days, staff members used to come up with a theme first, and then look for five storytellers to explore that topic, but now it can also happen the other way around. For example, a number of stories submitted through the pitchline could have something in common and that can become a theme, or the audience can suggest a theme for a future event. What the shows have in common, other than the fact that participants have to tell true stories, is that they are not allowed to use any notes because that would "keep them from connecting with the audience", Catherine Burns, The Moth's artistic director, told Journalism.co.uk in a recent podcast. "People do much better when they don't have them, otherwise they get what we call 'head in the desk drawer syndrome', all their energy is going into that sheet of paper and not into the crowd. "Worst case scenario, if you forget something, you can just say 'oh, I was supposed to tell you X three minutes ago' and, if anything, the crowd will only love you more. "Because what all crowds of storytelling shows generally want is for someone to come up there and just be human, to be their most authentic self." Similar initiatives to The Moth have appeared in Europe, such as Live Magazine in France and De Balie in The Netherlands. They organise live events that bring journalists and readers together to exchange ideas and debate current affairs, using speeches, music and other on-stage performances. These formats have enabled journalists to tell stories they couldn't publish or share through a different medium, as well as helped build excitement and trust between them and their audiences. Often, people who gather the courage to share something live on stage are not necessarily Moth regulars or avid fans of public speaking. So a mainstage director is there to work with participants to help focus their stories and break them down into moments, said Meg Bowles, senior producer and co-host of The Moth Radio Hour. "Our job is to help them build their confidence. A big piece of advice I give a lot is that if the story is emotional or tends to make someone feel an emotion so they get choked up in the middle of it, often I will tell them to just breathe. "Stop, feel the emotion and move through it as opposed to trying to fight it." The director's job also involves listening to the story beforehand in the same way the public will, to help craft a story for the ear, as opposed to letting it unfold like a written piece would. "Often when you write, you're observing, you're standing somewhere looking at what happened," Bowles added. "But when telling a story, I often encourage people to really stand in the action and tell us about it from the point of view of reliving it. "That way, the listener feels like they're on the ride with you – if you had no idea what was coming, neither does the listener." Listen to the full podcast with Burns and Bowles here.